Tomorrow is Labor Day, which unfortunately means summer is coming to an end. Alaskans will be enjoying the three-day holiday weekend by fishing, hunting, camping, and drinking! Remember to not drink and drive, folks. This also means that the general election, and the race for governor, is about to heat up. Tuesday (9/4/2018) is the last day to withdraw from the general election. The Landmine has dubbed this “pull out day.’ What candidates will pull out? One already has. There has been a lot of talk and speculation that Mark Begich will cut some kind of deal with Bill Walker and withdraw from the race. While this is possible, we think it is highly unlikely this will happen. Begich has assembled a very experienced campaign team and a pro-Begich PAC was formed this week. See this Landmine article on that. It will very likely be a three-way race for governor this year. 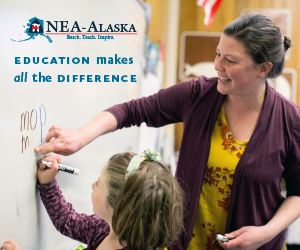 Bill Walker recently got the endorsements of three major labor organizations: Alaska AFL-CIO, the National Education Association – Alaska, and ASEA/AFSCME Local 52. While lots of groups are deciding whether they will support Walker or Begich, labor seems to be sticking with Walker. Walker recently announced a 15% raise for State Troopers over the next two years. Many Republicans are unhappy with this and say it shows that Walker is pandering to labor. However, there has yet to be much criticism from his opponents or elected officials. Arguing against pay raises for law enforcement wouldn’t look too good. Mike Dunleavy has been noticeably absent from some debates and forums. He did not attend the Alaska Municipal League summer conference in Healy or the Accelerate Alaska conference in Anchorage this week. Begich and Walker attended both events. Word is there may be some shuffling around with his campaign staff. Mike, call me maybe? Democratic candidate for House District 36, Ghert Abbott, has pulled out and withdrawn from the race. This leaves Representative Dan Ortiz (I – Ketchikan) and Republican Trevor Shaw in the general. Shaw resigned from the Ketchikan School Board this week due to a recall election he was facing. His resignation ends the recall election. Now he faces Ortiz in November. Go big or go home! He will probably be going home. Carolyn Hall recently started as the Communications Manager for Governor Bill Walker. She previously worked as the Education and Outreach Coordinator for Elections in Anchorage. She was heavily involved in the first vote-by-mail election in Anchorage last April, which was very successful. Best of luck to her in her new role. The Legislative Affairs Agency (LAA) in Juneau recently announced some changes to its management team. John Cayce has been promoted to Building Manager (this means he is one of the few people who are able to review security footage in the Capitol). He previously worked as the LAA’s Maintenance Mechanic. Susan Haymes, Legislative Research Manager, retired on August 31. Mike Crabb was hired as the new Research Manager. Crabb previously worked for DOT and the Office of Management and Budget. Jennifer Mueller was in Anchorage this week. She is a D.C. political operative who supported Mark Begich when he ran for U.S. Senate in 2008 and 2014. Very swampy. She was likely in town working with the new Begich independent expenditure, Begich for Alaska. Former Loose Unit and KTVA reporter, Daniella Rivera, was named Broadcaster of the Year this week by the Alaska Broadcasters Association. 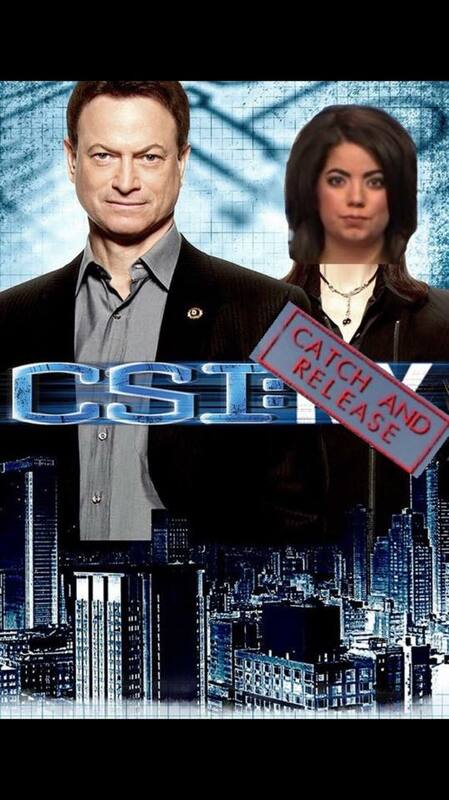 They cited her “Catch and Release” series on crime for the award. Maybe she will get her own show! The Anchorage Assembly passed a plastic bag ban on Tuesday (8/28/2018) on a vote of 9-2. Amy Demboski and Fredy Dyson voted against it. The ban goes into effect in March 2019. Palmer and Wasilla have also passed plastic bag bans. Freedom loving conservatives all over the city were triggered by the egregious intrusion into our lives. Maybe they can protest by putting plastic bags over their heads. The Republican State Leadership Committee (RSLC) has been spending some big money in Alaska. And word is the Republican Governors Association is about to drop a LOT of money in Alaska. Two independent expenditure groups, Families of the Last Frontier and Families for Alaska’s Future (Governor’s race), both chaired by Steve Strait are the groups where the money is going. Strait owns a media company and radio station in Western Alaska, where he broadcasts “news.” He’s about as partisan as it gets, and it is well reflected on his radio station. He’s also listed as a deputy treasurer for the Alaska Republican Party on APOC. I’m sure he’s taking real good care of himself on the radio buys for the two groups. According to Alaska Public Offices Commission filings, Families of the Last Frontier has received $60,000 from the RSLC so far. Here is a nice little 50 grand from them. Some weeks are so loose, with so many Loose Units associated with a singular event, that the event itself needs to be the Loose Unit. This is required to fully appreciate all of the Loose Units involved. This is one of those weeks. This week’s Loose Unit is House District 15. Unless you have been hiding under a rock for the past few weeks, you know about the House District 15 Republican primary between Representative Gabrielle LeDoux (R – Anchorage) and newcomer Aaron Weaver. Weaver beat LeDoux on primary election night by three votes, shocking everyone. Weaver raised very little money and did zero campaigning. Many correctly thought LeDoux would end up winning after absentee and early votes were counted. Here is where it started getting loose. No one thought Weaver had a chance. Because he did no campaigning, voter turnout in the primary was extremely low at just under 7%. This brings us to Loose Unit number one. After a tip, the Landmine reported that Weaver actually lives in a commercial condo unit he owns in District 20. It appears he rented a room in a guy’s house in District 15 in order to run against LeDoux. Talk about a Loose Unit! Be careful what you wish for, Aaron. So LeDoux lost on election night to a guy who raised almost no money, did not campaign, and does not even live in the district. So loose. The Division of Elections sent out a press release indicating some irregularities in the District 15 Republican primary election. This included seven dead people requesting ballots (who did not vote) and absentee ballot requests being returned. Enter Charlie Chang, Loose Unit number two. LeDoux has hired him in the past to get out the vote in the Hmong community. There is a large Hmong community in LeDoux’s district. LeDoux paid Chang, who lives in California, $10,000 to get out the vote in the Hmong community. It looks like Chang also voted in the election. Very loose. Wouldn’t it be great if detective Charlie Chan got on the case to investigate Charlie Chang! Now it starts to get real loose. Enter Alaska Republican Party Chairman Tuckerman Babcock, Loose Unit number three. In a KTVA interview, Babcock said LeDoux fixed the election and needed to be criminally charged. Lock her up! He offered no proof for his claims. So much for innocent until proven guilty. Very loose. Once it was out that there may have been some voter fraud, a lot of conservatives started getting real hard. This is their dream come true. It doesn’t matter that it was identified by the Division of Elections, or that the number of votes in question are so small that it would not affect the outcome of the election. This PROVES that millions of illegals voted in Alaska. Babcock’s hatred for LeDoux is next level. Babcock and the Republicans are now wanting to run a write in campaign against LeDoux, who they say is a turncoat and not a Republican for caucusing with the Democrats. But this has caused some unintended consequences. There is now an effort to run a write in campaign against Senator Peter Micciche (R – Soldotna). He barely defeated Ron Gillham in the Republican primary, and there is no one else running in the general. Babcock took to social media and said that the Alaska GOP will not support write in campaigns against Republicans who won their primaries. Unless their name is Gabrielle LeDoux. So loose. LeDoux has been pretty quiet about all of this. She sent out a statement and has not said much since. An actual investigation will determine what happened and if anyone acted criminally or committed voter fraud. But that does not matter to Babcock and Republicans. They have already charged, tried, and convicted her. Next comes the execution. Things are about to get even looser in District 15.